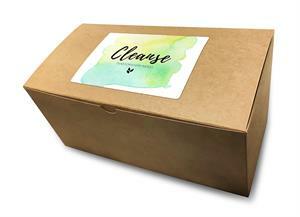 Cleanse your body of stress, sickness and more with Davidson's Cleanse Mood Box. This surprise box contains three tea bag teas specially designed to promote cleansing and renewal. Give the Cleanse Mood Box as a gift to let someone know you're thinking about them, or simply treat yourself to some self-care. The Cleanse Mood Box contains three 25-count tea bag boxes of tea. The chosen blends may vary and are meant to be a surprise as would be the case for a subscription box.